On this page, take your pick to we have a few have bonza online games from NYX for you to enjoy, again at Kiwi mates rates for our visitors. When you click an image your game will load in a few seconds, just give it a little time. To get back to this page just tap on the HOME icon on the game page. You can also see all the game rules and how to play with pay-tables etc from the spanner > info icon. You don’t need any apps or registrations to play all the best New Zealand styleand Aussie style iPad poker machines on our site. Grab a cold one, sit back & have a ripper time. These games should work on most Android gadgets and your iOS device like an iPad or iPhone – PC & Mac games HERE. Please tell all your mates to come visit us ! Some of these pokies below may also be played for real money here. Play free iPad, iPhone, Android Pokies Below – these are HOT! Presently we have a few Aristocrat pokies for iPad & iPhone devices to play for our visitors. Hopefully we will be able to add some of the world’s greatest mobile slots to our site soon. Getting started is just so simple even Mum could do it!, tap on any of the game images that takes your fancy & the game will load up on your gadget in about 30 seconds depending on your internet speed. You will not need to download or install any pokies apps as they are all instant play games & you also will not need to register to enjoy any of them. Aristocrat, IGT, Ainsworth, WMS – Williams, Bally, Barcrest, Konami style mobile pokies are available from our free game selections. If you like the above games you can play many more similar iPad, Android and iPhone pokies at our favourite social gaming sites on facebook, these are can be played for fun play only at these four cracker sites, take a look for the Aristocrat site here the Ainsworth site here the IGT site here or the SG site here. If get that lucky finger feeling when playing these games just tap on the cashier icon on the game screen, you will be taken to the most trending lucky casino that offers a real play version of that game subject to your location. Additionally a special bonus awaits you to boost your credits from this link here. If you have been paying to play social slots you are in for a special treat on this page so make sure you give a tweet or post us on Facebook so we can get more visitors to help cover our costs to run the site 🙂 Anyway hooroo & have fun on these games. 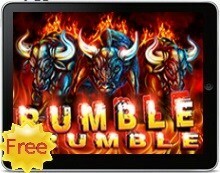 100% FREE iPad, Android & iPhone Aussie style pokies machines! PLAY Great Pokies for Real CA$H - Exclusive Bonus TAP HERE !